A car packed with explosives may have been blown up in front of the building of the Russian Consulate General in the Syrian city of Aleppo, Iran's Fars News Agency reported on Tuesday, citing its source. According to the news agency, the incident occurred early on Dec. 8 morning. "So far, there have been no reports on possible casualties or the masterminds of the attack," the source said. The Russian Embassy in Damascus told Interfax that "the Consulate General of the Russian Federation in Aleppo is currently not functioning." "There are no diplomats of ours there. 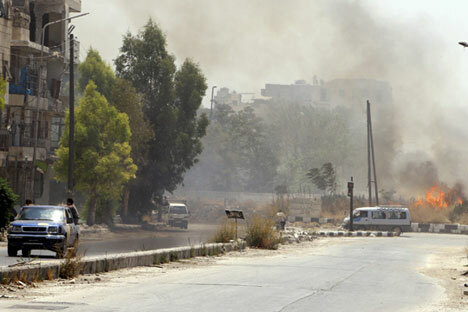 It has been closed almost since the start of the Syrian conflict," an embassy official said. The information available to Interfax indicates that the Russian Consulate in Aleppo was closed in 2013 and all employees moved to Damascus. Consequently, there should be no Russians among those possibly injured in the explosion near the diplomatic mission's building, which was reported by the Fars agency.